Operate now provides an option to email multiple Invoices or Credit Notes to a particular email address or to the customer. 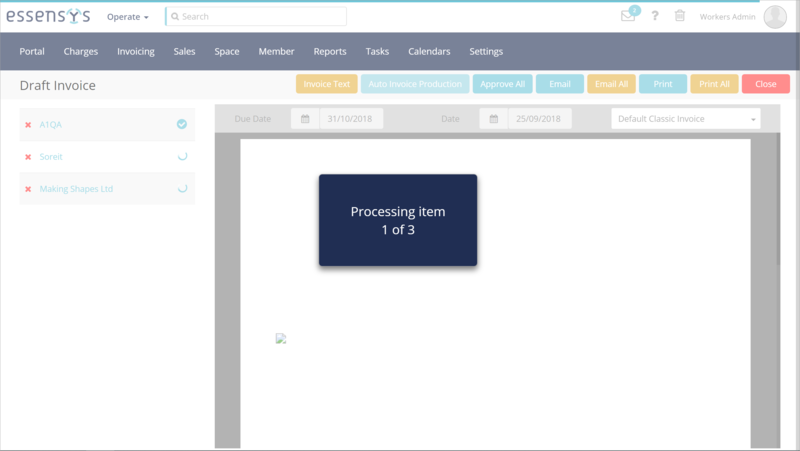 What makes this feature different is that you no longer need to use Automatic Invoice Production and send all new invoices and you also have the option to send to a particular email address, not just to the customer or any other staff included in your invoice email configuration. Go to Invoicing > Draft Invoices, Invoices, Draft Credit Notes or Credit Notes, depending on what you need to send. Tick the boxes corresponding to the records you want to email. Ticking the box in the heading will select all records on the page. 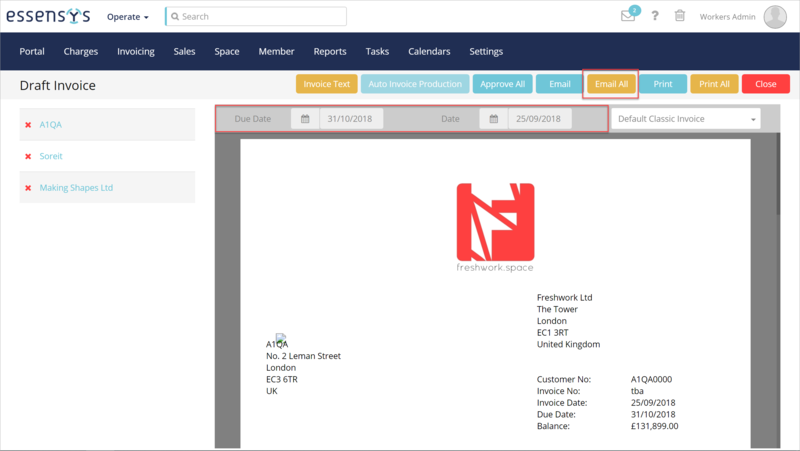 On the preview screen, you can check your list of invoices one more time and use the red "x" icon to delete those you may change your mind about. You can also set the document template, using the dropdown on the right. If you are sending a Draft Invoice or Credit Note, you will also need to set the relevant dates before the 'Email All' button becomes available. This step is not necessary if your document has already been approved (as shown above). Click Email All when you are ready. Next, configure where the email needs to be sent: Either to your customer or to a specific email address. When emailing to the customer, your invoice will be sent to the email address set as Invoice Email on the customer's Account record. Only one option can be selected; it is not possible to send both to the customer and to a specific email at the same time. However, after emailing, you can go through the process again and use the second option. Operate will now process your emails - this may take some time, depending on how many emails you need to send. Please allow the processing to complete and maintain the tab open. Once processing is completed, your emails should now be sent.